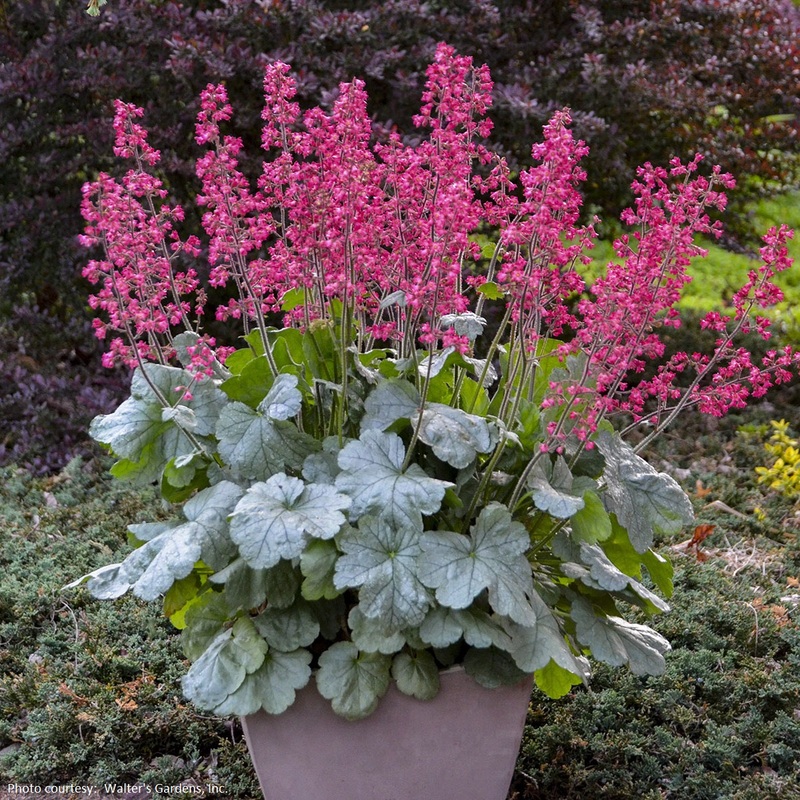 Heuchera 'Dolce Spearmint' Just like the popular 'Silver Gumdrop', this new Heuchera boasts both beautiful foliage and excellent flower performance. Silvery green leaves have dark green veins. Compared to 'Appletini', this is a rich, deep shade of green rather than chartreuse yellow. 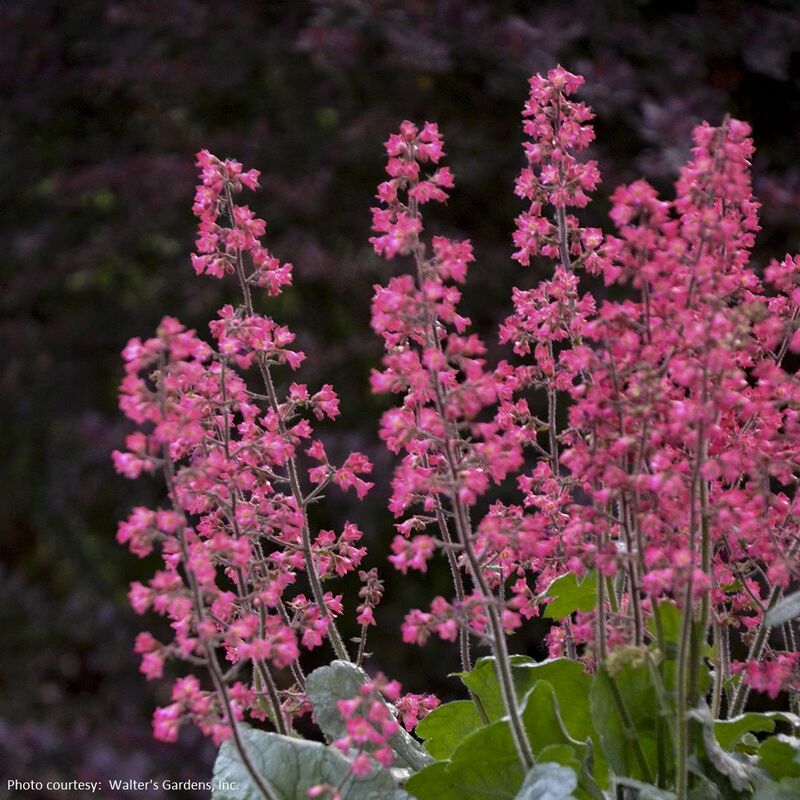 Although the foliage is attractive by itself, what really makes this plant stand out is the fabulous long season of bloom. The flowers are bicolor, with dark pink petal tips and light pink bases are produced early to midsummer. Stunning! PPAF.